Continuing on in what promises to be a weekend full of posts, Westkust’s latest tops off a list of four more great songs- all of which appeared within the past week. There was Veruca Salt’s unexpected, punchy return that was spearheaded by “Laughing in the Sugar Bowl“, Nap Eyes’ brilliantly minimalist take on basement pop in “Dark Creedence“, The Hussy’s characteristically spiky “Turning On You“, and J Fernandez’s psych-tinged “Between the Channels“. “Dishwasher” earns the headline of this batch by virtue of sheer power, marking one of Westkust’s strongest offerings thus far. Westkust had already made a considerable impression with their last single, “Swirl”, which was strong enough to warrant inclusion in our First Quarter Highlights mixtape earlier this year. Now, Makthaverskan’s sister band has begun to expand on their sizable early promise with the propulsive, hard-hitting “Dishwasher”. 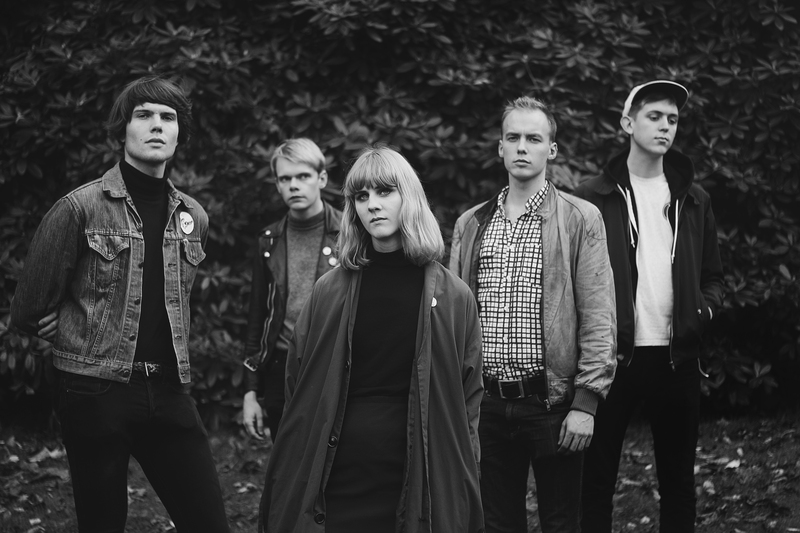 Utilizing a production style and aesthetic not too dissimilar from site favorites Joanna Gruesome, Westkust definitively carves out their own variant pocket in a very niche genre. Powerpop, twee, post-punk, and shoegaze all collide to create something spectacular. Teeming with personality and tapping into an unlikely fierceness, “Dishwasher” comes off like a warning shot. It also proves that Westkust refuse to be relegated to the sidelines; this is a band intent on a reckoning. Give into their charms or miss out on a golden opportunity. Listen to “Dishwasher” below and pre-order Last Forever ahead of its July 10 release directly from Run For Cover here.